A US-led coalition airstrike in the eastern Syrian province of Deir ez-Zor claimed the lives of 18 civilians and left over 20 injured, SANA news agency reported. MOSCOW (Sputnik) – Eyewitnesses specified that the attack hit Tayba, located in the western part of the province near Mayadin, also damaging houses and local infrastructure, according to the SANA. The US-led coalition forces had carried out attacks on several other villages in the northern and eastern parts of the province, which also resulted in casualties, according to the outlet. 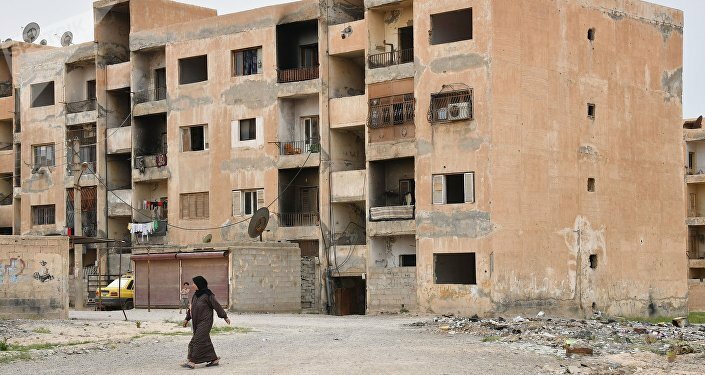 Deir ez-Zor had been encircled by the Daesh terrorists since 2014 with its residents living in conditions of humanitarian catastrophe. However, the Syrian government forces were able to regain control over a half of the city this year. The Syrian forces continue an offensive aimed at lifting the siege and creating supply lines for the city’s residents. The US-led coalition of 68 nations has been conducting airstrikes against Daesh terrorist group in Syria and Iraq since 2014. The strikes in Syria are not authorized by the government of President Bashar Assad or the UN Security Council.